I recently reached my 4,500 and 36 with a Bachelors. I now need to accrue 35 contact hours. Anyone have any suggestions? I have my reading material, I just need to fulfill the 35 contact hour requirement. I already completed the training over the weekend. I went with an on line provider (was up to 6 am lol). I was hoping to get real world testimonials from the members who possess the PMP, that obviously didn't happen . I ended up registering at GANTTHEAD and another PM site. I was concern about dumping 200-400 dollars on a training course that I knew nothing about. I found one that was PMI/REP certified and went with them. Things are going well, I did a lot better than I thought. I anticipate 1 month of training and I will be a PMP (hopefully). Anyhow I am finishing up my training and will be submitting my application later today. Curious, but what happened to the CAPM? I guess you figured you could go ahead and go straight to the PMP? Had a conversation with my Boss and we did a career map of my past. I came up with 5,400 project hours. Unbelievable what can happen when you hash it out with another in your industry. He reminded me I was a tester on a Windows 7 project for 6 months. Totally slipped my mind. My boss is really gently pushing me to get the PMP. I think when I showed him that I passed the Service Transition in ITIL he saw potential in me and now he wants me to get the PMP. It's pretty cool having your boss supporting you in your walk towards a goal. Anyway moral of the story document all your hours. So now I am waiting for PMI to remove my application for the CAPM so I can submit for the PMP. Application was sent yesterday. I'll keep you posted. wgu undergrad: done ... woot!! Dang I wish I would of known this. I already paid too much for the training hours. Wow I feel like a dummy! O well I am approved to take the exam and the test has been paid for. Now I just have to read 3 books, 1 twice and go through some classroom training and I should be straight. For the love of Jesus, Mary and Joseph, please don't try to actually read the PMBOK. Concentrate on those other guides, and use the PMBOK as a reference. Best of luck to you though. It's tough but some program managers I know personally said they would recommend it. I am already really into the material now. My plan is to get the exam passed during December and then start a training course for the GMAT. I'm afraid certifications have taken me about as far as I can go. There is a one off chance I might take the dumb down Six Sigma course called "Lean Sigma" more around speeding up processes not just quality. This would be a great course and the material would be super benefical to utilize when restructuring processes. But for now the goal is the PMP then the MBA from a top 25 program (Carlson-University of Minnesota). I need to get a bare minimum 700 on the GMAT. In case others see this, as it is too late for N2IT, the PM PrepCast is a very cost-effective option at $100. It is a podcast that is available though iTunes. I was able to use Zune for my Windows Phone 7 and watch them there, as well, or just on my PC. EDIT: I am hoping that I will finally get around to taking the PMP at the beginning of 2013. I just have so much going on right now: grad school course, VMware course (for VCP4), Exchange 2010 migration, family stuff.... I am better off than before. I went through a bootcamp for the PMP in 2008. I skimmed a study guide and completed my application and paid for the exam back in June, along with the PM PrepCast. I just need to focus on what I currently have on my plate... and I still need to go back and pass the Exchange 2010 MCTS so I can have my MCITP. I guess when the holidays roll and I am done with this semester I will start studying again. I can take a week off of work, or maybe two... spend time with the family... study... etc... Then, my next semester won't start until February, so I should be able to knock this out. We should have some sort of online study group. I will start a thread when the time rolls around and I will setup a WebEx or something and we everyone can study together that is interested. That would work for me. Just let me know what actions I need to take to move forward with this. Right now I am spending about 3 hours a night reading through the PMBOK and other materials, so it will be about a month or so before I can participate, but that sounds great. The PMP is a must for where I am at and where I am going. My job role is 80-90% service transition and project management, trending towards design and strategy. I do not deal with anywhere near the amount of technology a lot of the other members on this board deal with. I like to keep one foot involved, but for now but I am 90% business process and projects. 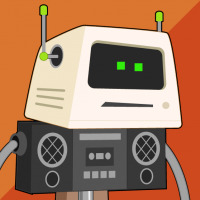 It makes very little sense for me to trend towards technology now for these reasons. -My passion is becoming involved in planning and budgeting. I am not so much interested in the technology side of things and to be quiet honest I am much better in this department anyway. -All my time is invested in learning business process and project frameworks along with the toolsets that accompany them. -You take what you can get. Right now I am expected to deliver at a high level, not a low level which again circles back to the PMP and ITIL ST. Sorry for the alphabet soup, but I wanted to applaud your strategy when it comes to your certifications. Prioritization is critical and you obviously understand that. My new position is titled PM effective 10-17 Monday hence why I am full bore on the PMP. My boss literally said I want you to get this, make it happen. I get status check on where I am at in the process. I am a self motivated guy, and with the addition of his "encouragement", I am going to bang this out. I used the PMBOK 5th edition course from Simplilearn. Was pretty straight forward. Got 30 days access for $100 (completed in 3 days). I am a certified project manager, and working as a professor in a university. I also give Online PMP Courses in Udemy. Below, I have provided 80% discount for my courses to participants of techexams.net users. Note that, Udemy provides a 30-day money back guarantee. If you won't be satisfied with the courses, you will be refunded. These courses have more than 50 5-star reviews and proven success stories. You can click on the links for each training and see the details. You can enroll in a 499 USD PMP EXAM COMPLETE Training (35 PDU Hours) ONLY FOR 99 USD with a 80% OFF! 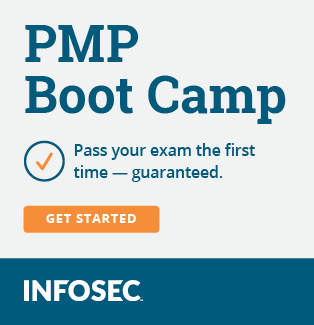 Also you can enroll in a PMP FULL Realistic Exam to check your readiness ONLY for 19 USD. Original price of the course is 99 USD! I have also a Microsoft Project APPRECIATED Course which you can learn how to save thousands of dollars in your projects. Original price of the course is 399 USD, but you can enroll only for 79 USD! I got lucky with this one. I am currently working for my MBA and one of my electives was "Software Engineering and Project Management". The instructor who is a PMP told us that the course is eligible to get the 35 contact hours required for PMP. Saved a few $$$ . OSCP: Loading . . .
My elective for the masters degree was called "Software Engineering and Project Management". It was 48 contact hours for me, which is a lot. I will ask the instructor about your query. The instructor I had was not only a college lecturer but, also a PMP trainer. I was lucky to have him as my teacher. Planning to file the application, later this week.